Mike Ashley to set new asking price if NUFC stay up – but he’s ‘finished’ with Kenyon – Reporter – NUFC blog – Newcastle United blog – NUFC Fixtures, News and Forum. 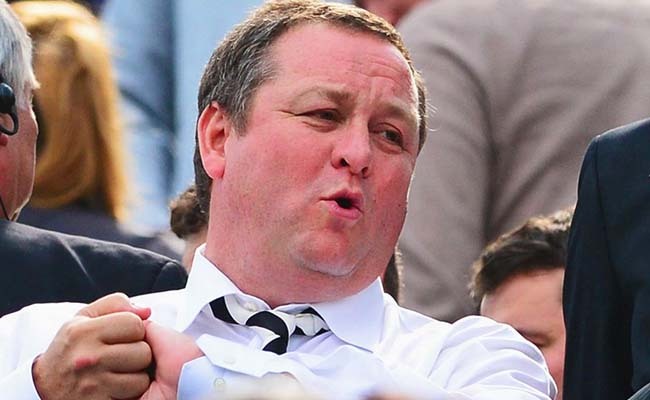 According to the Chronicle’s Mark Douglas, Mike Ashley is ‘finished’ with Peter Kenyon, but will still ‘listen to offers’ at the right price – with his valuation said to be around the £350m mark if we stay up this season. This comes from both Douglas’ takeover ‘update’ on his Facebook page and his latest comments in the Chronicle’s latest live blog, suggesting that any deal with Kenyon is dead – but that the club is not ‘off the market’. This all feels far too familiar doesn’t it, with it seeming as though both Staveley and Kenyon are now out of the picture just as Ashley plans to hike his price up if and when our Premier League status is secured. ‘So the dust has settled a bit on the Sunday Times story that Mike Ashley has taken the club off the market. For what it’s worth, and after taking the temperature around the various movers and shakers around NUFC, it seems that it’s not quite the case that United are off the market. Ashley would still listen to offers for the club at the right price, but he’s finished with Peter Kenyon and anyone coming to him in future will have to prove they have the funds before the sort of in-depth behind-the-scenes work that was done before Christmas (and cost Ashley a six-figure fund). This really would be typical Ashley. Not only has another takeover saga ended in disappointment, but this could see him price any new buyers out of a deal over the summer, with greed kicking in once our top flight status is secured. Considering some feel new owners are essential if we’re to keep Rafa at the club, talk that he’ll up his asking price and wash his hands with Kenyon isn’t exactly what we wanted to hear – even if he may still be ‘open to offers’. Ex-NUFC star lined up for shock England call-up – but it’s not looking good for Sean Longstaff..
Merson makes huge claim about Almiron, Rondon & Perez – Great to hear, but hard to agree..
TalkSPORT pundit raises new takeover theory – Is this how potential buyers approached Ashley? Yet another massive PR smokescreen from out infamous owner, if he really really wanted to sell the club it would have been sold by now. Every time there is an anti Ashley campaign he moves the goal posts ever so slightly to appease the fans, only to concrete them back exactly where they were originally. Unfortunately we need to take all press releases with a pinch of salt until a new owner is unveiled.